Details of the indicator can be found at MACD. Click on the Add button to add the filter. If MACD gives a bull/bear signal and respects the zero line, the signal is stronger. 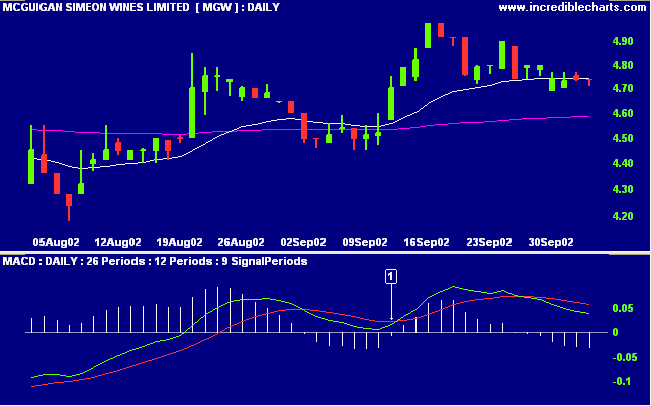 McGuigan Simeon Wines with MACD and MACD Signal Line. MACD respects zero and crosses to above its signal line.